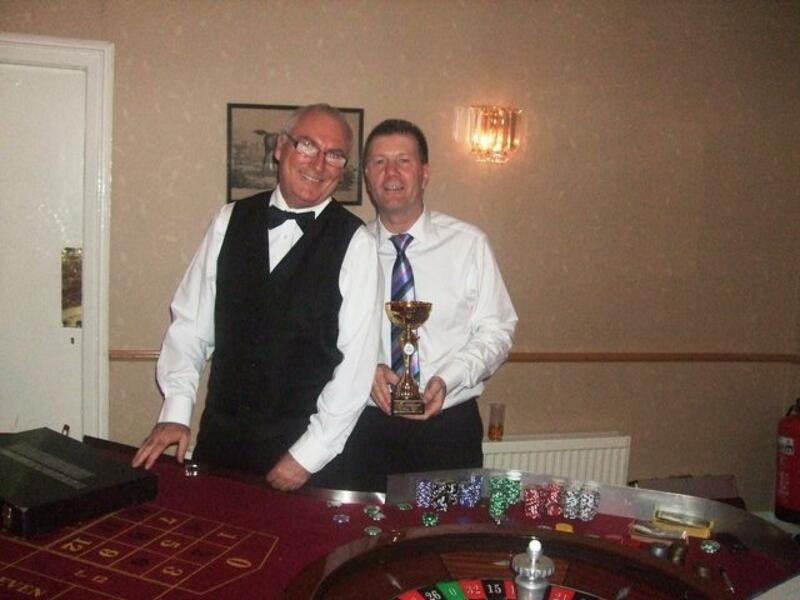 Keavil House Hotel in Crossford was the beautiful setting for an evening of entertainment Event Managed from start to finish for BAE Systems annual staff awards evening and Fun Casino Night event. The entire event was a delight from beginning to end, starting with a drink reception in the stunning Mountbatten Suite of the hotel. As guests arrived they were welcomed to their seats with drinks before being treated to a delicious menu. Between courses the group had the opportunity to watch presentations of long service awards to members of the team who were commended for their continued commitment and contribution to BAE Systems over the years for periods of 10, 20, 30 and 40 years. There were many deserving winners who took home their awards and a photograph with their colleagues taken by the professional photographer who recorded the entire Evenings Entertainment on film. Following a superb meal it was time for a few speeches and words of thanks to the team for their effort and performance both past and present before continuing the Evening Entertainment. The group was regaled by the wonderful magic of Kevin the Magician. Famously, Kevin became a magician following his appearance on the reality tv programme ‘Faking It’ and wowed the crowd not only with the story of his rise to fame but his magnificent tricks. We are all still wondering how on earth he pulled off the numbers magic, with John watching like a hawk. 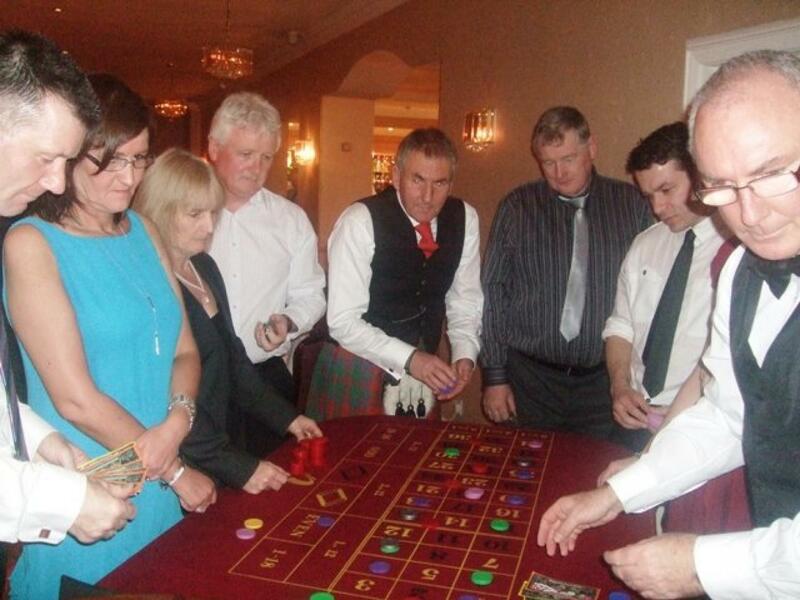 The rest of the evening was then finished in style with a Fun Casino evening taking place for all the guests. Each was presented with £50 worth of Fun Money to bet as they wished throughout the evening and it has to be said that much more money was lost than won! Peter was one of the worst losing multiple lots of (other people’s!) money. But then there was Agnes who began so well stealing the show with her magnificent streak of beginner’s luck as she won bet after bet after bet. 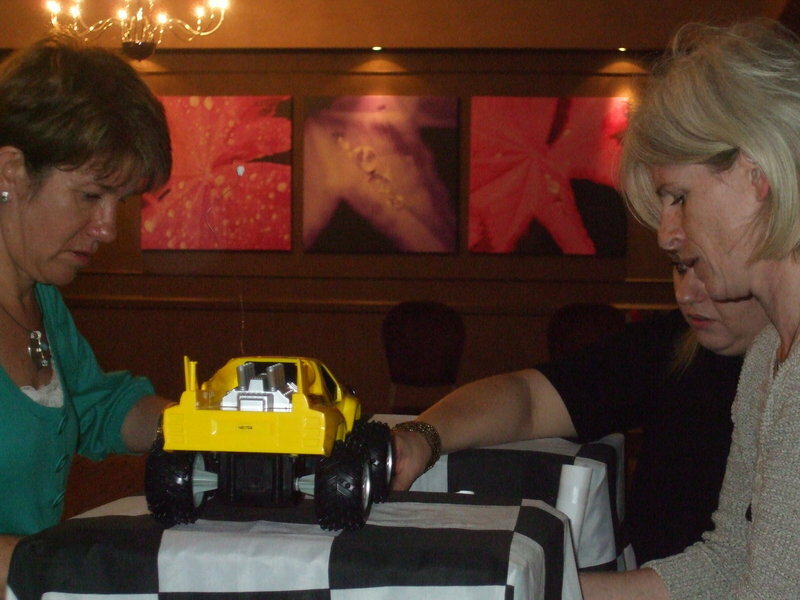 It was very close as the final three spins of the wheel were called before the disco would finish the night off and there were two individuals virtually neck and neck to won the Team Challenge Company Fun Casino Night Winner’s Trophy. 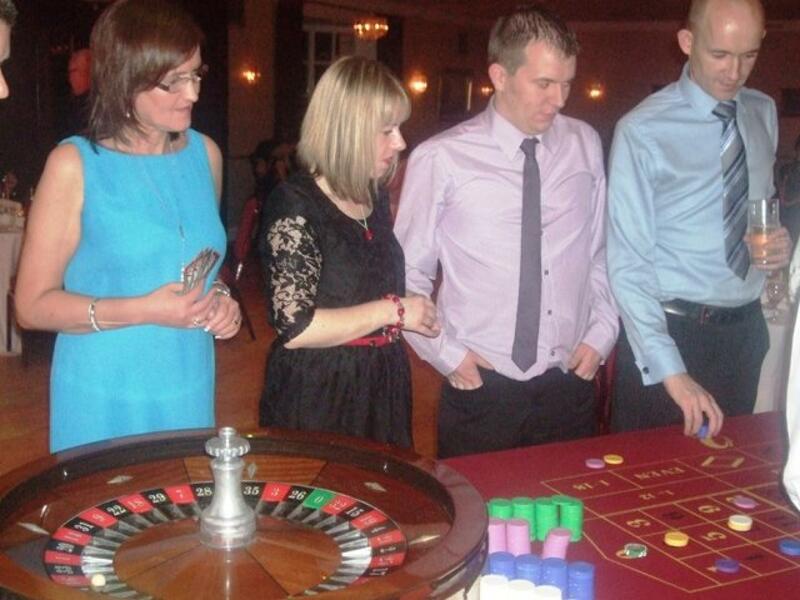 Dianne and Pete were so close with Dianne eventually taking a definite lead before ignoring the advice of our 30 years experienced croupier to lose a whopping £1500 on a single bet leaving her the ‘Biggest Loser’ of the Evening taking home the wooden spoon. This meant that Pete managed to claim the top spot with an impressive total of £1005, a fiver over his initial target as he promised the banker from the start of the night. Finishing off the evening with more dancing, a quick Gay Gordons and lots of disco diva-ing this was certainly an evening of Entertainment not to be soon forgotten. We thoroughly look forward to meeting you all again in the future. Who knows we may all be back celebrating 50 years of service and a lot more money to be won.